These herbs can tolerate damper soil and light shade. If you have a sunny spot, do also try Mediterranean herbs. These herbs all might live happily by the back door for cooking: catnip, peppermint and lemon balm being suitable for tea, chive leaves and flowers for salads, and fennel leaves team well with fish. Grow peppermint with caution as it does like to spread! We recommend keeping it in a pot, or if you would like to grow it in the border, plant the whole pot, but do keep an eye on it for watering, and beware it still might escape and try to take over the garden! Propagate by division or pulling away a piece of surface root and potting up. 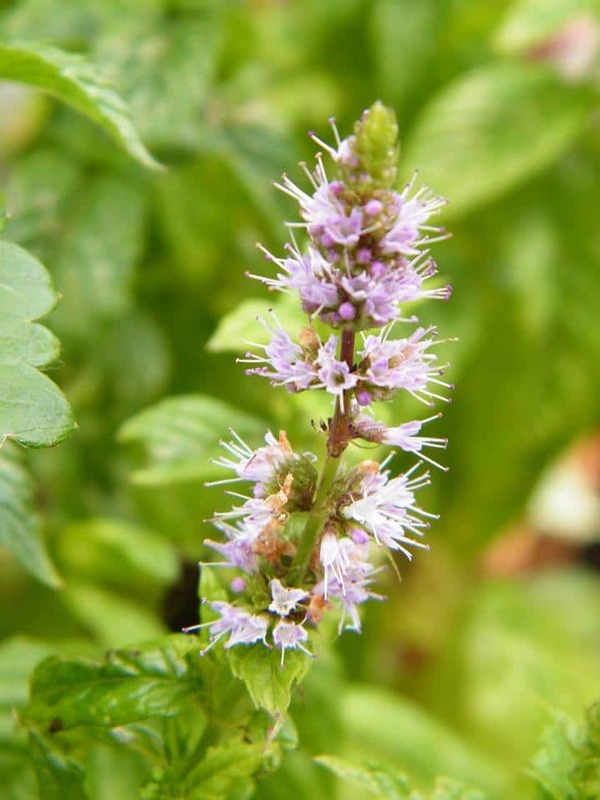 Both peppermint and lemon balm benefit from cutting back hard once they start to flower, as the leaves become tougher and less palatable at this point. The herbs in the above list can all be grown from seed in early spring, following the instructions on the packet. Catnip, lemon balm and fennel will self-seed freely once established. Do be wary of fennel, because although it looks beautiful self-seeded in a border, it does inhibit the growth of other plants nearby. 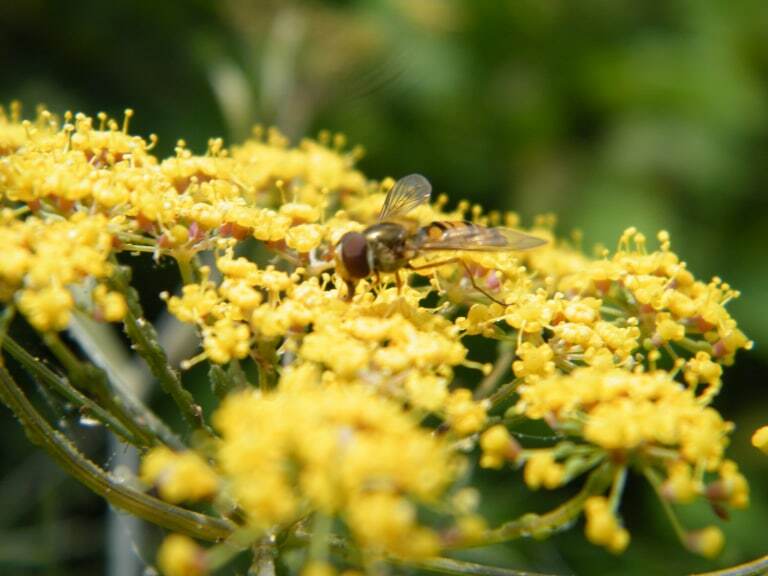 The flat yellow flowers of fennel provide a welcome landing spot for hoverflies, which are a much-needed pollinator.